NEW YORK — John Ashbery, an enigmatic genius of modern poetry whose energy, daring and boundless command of language raised American verse to brilliant and baffling heights, died early Sunday at age 90. Ashbery, winner of the Pulitzer Prize and often mentioned as a Nobel candidate, died at his home in Hudson, New York, his family told The Associated Press. His husband, David Kermani, said his death was from natural causes. Farrar, Straus & Giroux, which is handling publicity for a new biography of Ashbery, "The Songs We Know Best: John Ashbery’s Early Life," confirmed the poet's death on Sunday night. Few poets were so exalted in their lifetimes. Ashbery was the first living poet to have a volume published by the Library of America dedicated exclusively to his work. His 1975 collection, "Self-Portrait in a Convex Mirror," was the rare winner of the book world's unofficial triple crown: the Pulitzer Prize, the National Book Award and the National Book Critics Circle prize. In 2011, he was given a National Humanities Medal and credited with changing "how we read poetry." Among a generation that included Richard Wilbur, W.S. Merwin and Adrienne Rich, Ashbery stood out for his audacity and for his wordplay, for his modernist shifts between high oratory and everyday chatter, for his humor and wisdom and dazzling runs of allusions and sense impressions. "No figure looms so large in American poetry over the past 50 years as John Ashbery," Langdon Hammer wrote in The New York Times in 2008. "Ashbery's phrases always feel newly minted; his poems emphasize verbal surprise and delight, not the ways that linguistic patterns restrict us." But to love Ashbery, it helped to make sense of Ashbery, or least to get caught up enough in such refrains as "You are freed/including barrels/heads of the swan/forestry/the night and stars fork" not to worry about their meaning. Writing for Slate, the critic and poet Meghan O'Rourke advised readers "not to try to understand the poems but to try to take pleasure from their arrangement, the way you listen to music." Writer Joan Didion once attended an Ashbery reading simply because she wanted to determine what the poet was writing about. "I don't find any direct statements in life," Ashbery once explained to The Times of London. "My poetry imitates or reproduces the way knowledge or awareness comes to me, which is by fits and starts and by indirection. I don't think poetry arranged in neat patterns would reflect that situation." 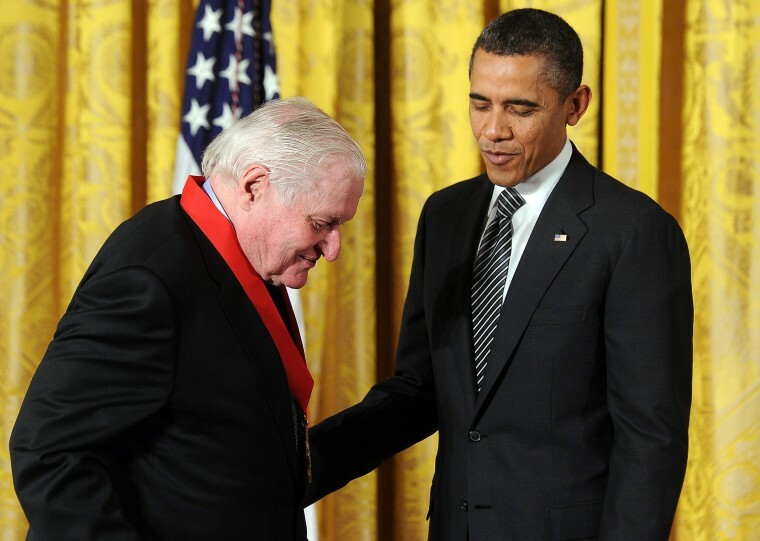 Interviewed by The Associated Press in 2008, Ashbery joked that if he could turn his name into a verb, "to Ashbery," it would mean "to confuse the hell out of people." Ashbery also was a highly regarded translator and critic. At various times, he was the art critic for The New York Herald-Tribune in Europe, New York magazine and Newsweek and the poetry critic for Partisan Review. He translated works by Arthur Rimbaud, Raymond Roussel and numerous other French writers. He was a teacher for many years, including at Brooklyn College, Harvard University and Bard College. Starting at boarding school, when a classmate submitted his work (without his knowledge) to Poetry magazine, Ashbery enjoyed a long and productive career, so fully accumulating words in his mind that he once told the AP that he rarely revised a poem once he wrote it down. More than 30 Ashbery books were published after the 1950s, including poetry, essays, translations and a novel, "A Nest of Ninnies," co-written with the poet James Schuyler.